Three inserts are arranged at 45 degrees into the 5mm thick X 10mm wide x 19mm long dressing blade. 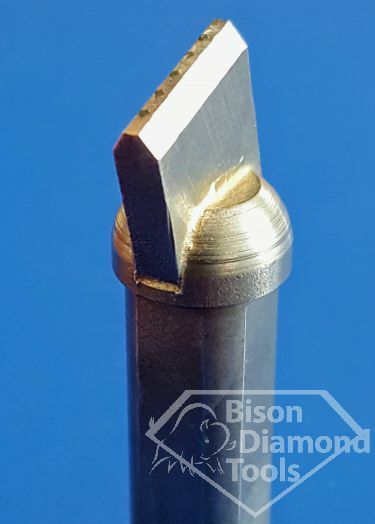 MCD-CVD logs 0.8mm x 0.8mm x 5mm equally-spaced set on centre with flat top. 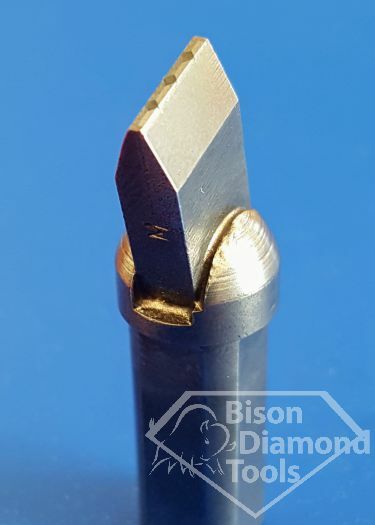 Five logs 0.6mm square x 5mm long blade tool recommend for dressing larger diameter grinding wheels 80-100 grit. 7/16" diameter x 1-1/4" long shank with four flats. Inserts are arranged at 45 degrees into the 5mm thick X 10 mm wide dressing blade. MCD logs 0.8mm x 0.8mm x 5mm equally-spaced set on centre with 0.25mm (0.010'') - 0.5mm (0.020") lapped radius. Included 40 degree angle on the side of the blade. The blade is set down at 0 degree angle. 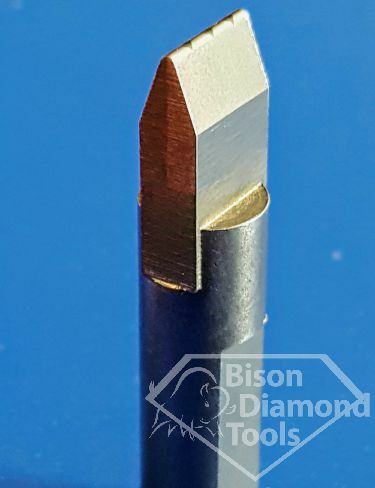 0.375'' diammeter x 1.0'' long with one flat shank.